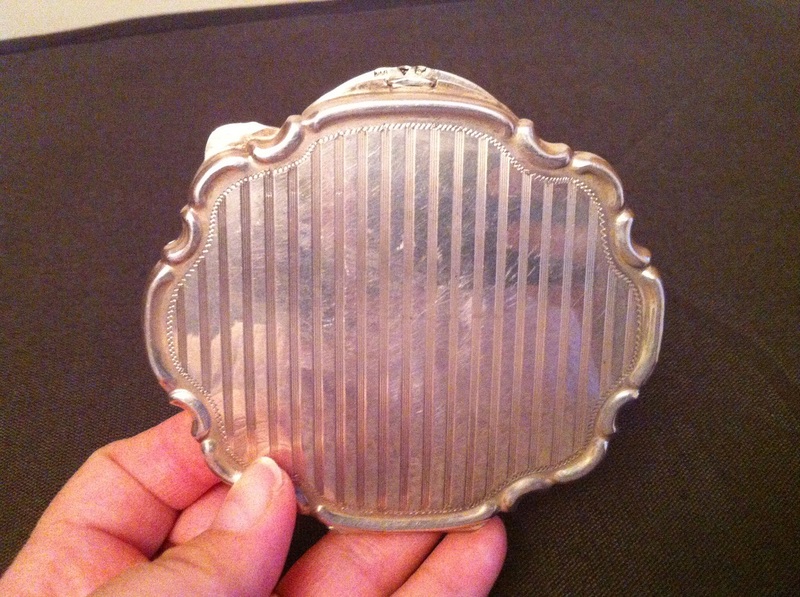 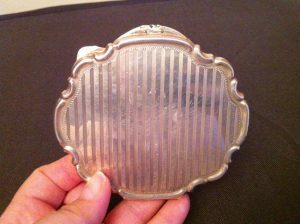 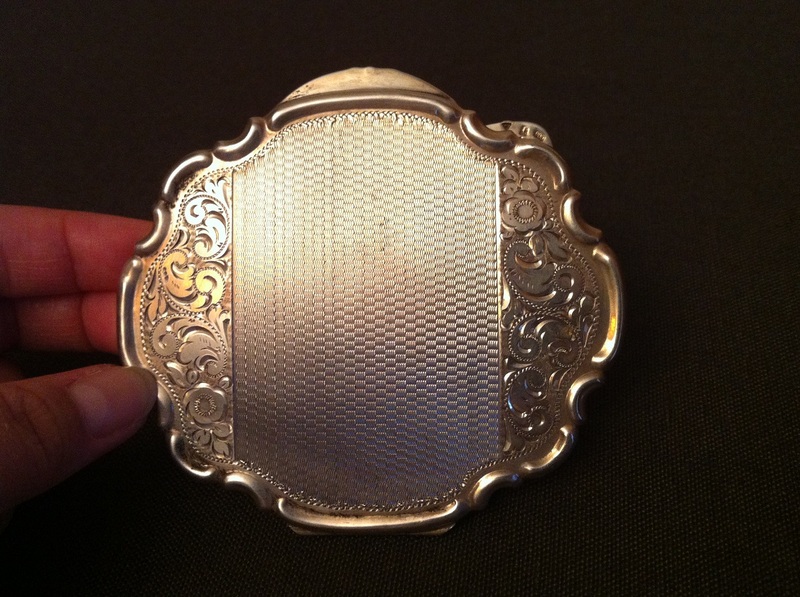 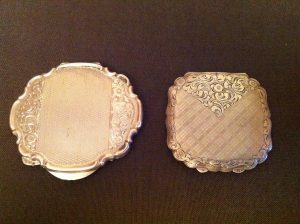 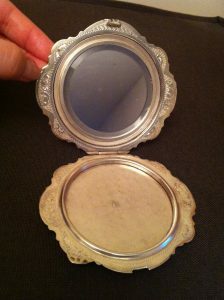 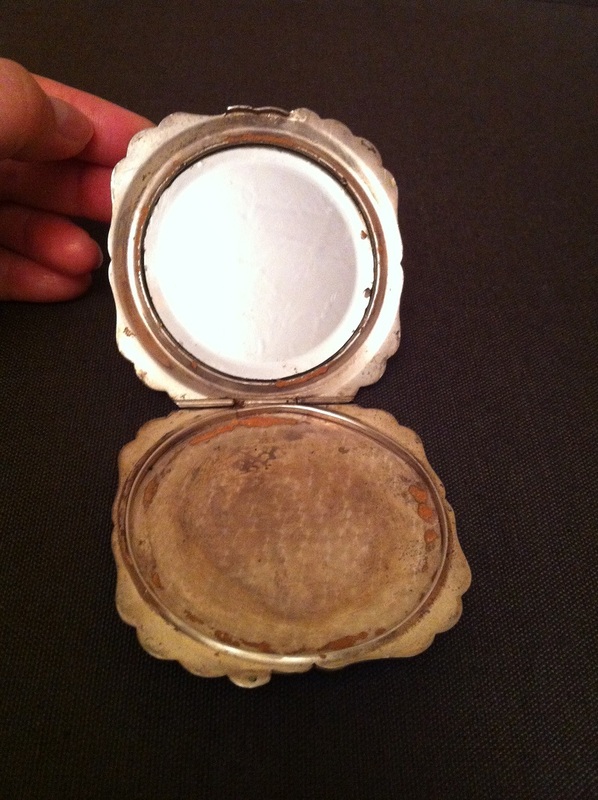 These are beautiful duo antique silver compacts from Czech. 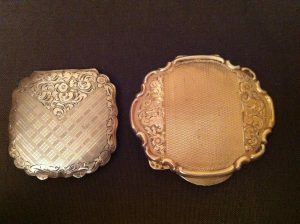 The first one is the smaller one, with 835 hallmark. There is still some powder left.. 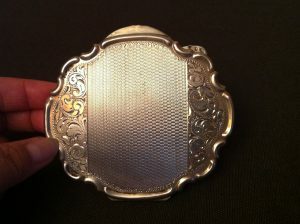 The look at the back. They are stamped 835 at both sides. 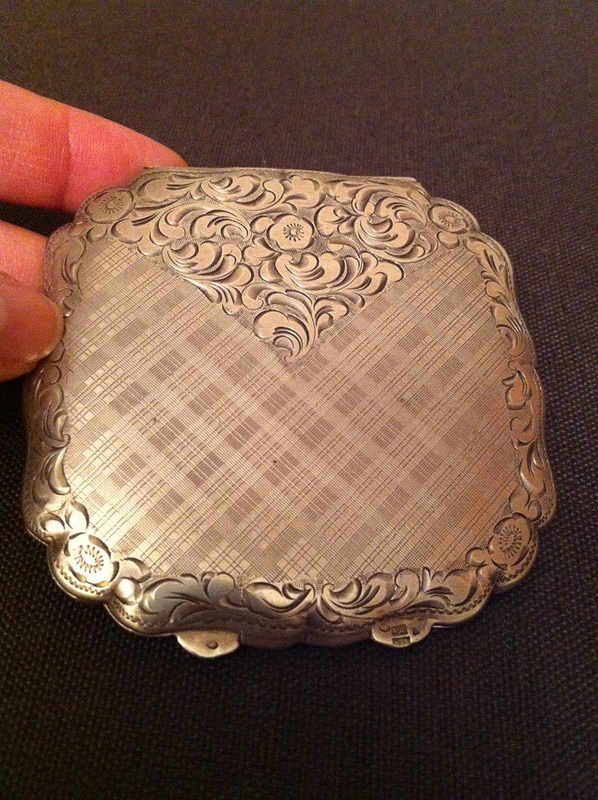 This is the the second one: the larger compact with 900 silver hallmark. The inside look: they are stamped 900 on both sides with possibly Czech silver hallmark. 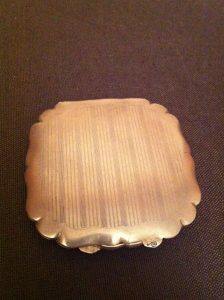 The look from the back. Possibly from art deco era. 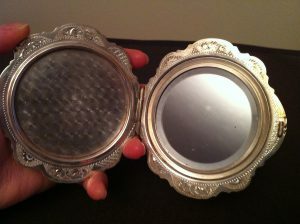 They are gifts from my husband while we were in an antique shop in Prague.